What are the most common poker tells? - Casino Answers! 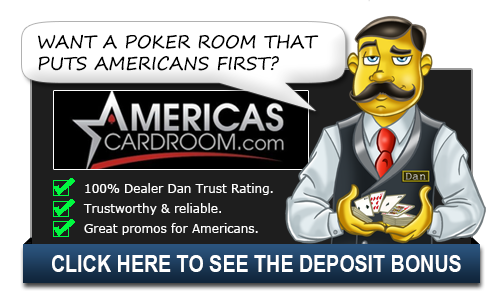 Casino Answers » Poker » Online Poker Beginner Q&A » What are the most common poker tells? Sweating & Fidgeting – Sweating and fidgeting opponents are nervous, either because they have a very strong hand or they are executing a very big bluff. Listen for the pause – Opponents who are making up the story on the spot have to pause for a moment before speaking to have time to come up with a good story. This pause indicates deception. Looking at your chips – If your opponent glances at his chips instinctively after the flop comes out, the flop hit him hard. Timing – Think about the speed which the opponent normally makes his decisions. If a player makes a very fast raise, it usually means he’s bluffing, because the player might have decided to raise before the card was even dealt. Each player has different timing tells, so pick up on your opponent’s. Chip shuffling – If a player is shuffling a stack of chips in front of him, he is not an amateur player. Try to avoid playing pots with these players, as they have spent quite a few hours at a poker table. There are three things you can do to mask your own tells. My favorite, and the easiest, is the stone-wall. Never speak about poker hands at the table. If your opponents ask you questions about your previous hands or the hand you’re in now, ignore them. It’s okay to chat about other things, but avoid discussing your hands. The second thing you can do is to be completely consistent in your actions. Take about the same amount of time to bet or check each time the action is on you, and check or bet with the same method each time, by gently sliding your chips over the line. The third thing you can do to mask your own tells is be completely inconsistent. Fake the above tells every chance you get. Then, when you do fidget, your opponents will not be able to tell if you are faking it or not. How Do You Spot Tells? The master of poker tells, Mike Caro, once gave this universally applicable advice: In general, he said, acting strong means weakness and acting weak means strong. So when a player shoves his chips into the pot, he is probably bluffing. If a player acts like he doesn’t like your raise, and then re-raises you, he almost certainly has a monster. Another common tell is how much a player is talking. Players who usually do not talk but start talking during a hand tend to have very strong hands. They are feeling good and confident. Some players talk all the time, you can’t read too much into their talking. If you want to make sure never to give off this tell, be sure to never talk and never answer questions no matter the strength of your hand. However, against experienced competition, you must be careful what weight you assign to their tells. Experienced players will either fake tells or give off false tells. Dan Harrington says, before he makes a decision, he either scratches his nose, adjusts his watch, or sighs. He does these three things every hand in no particular order.